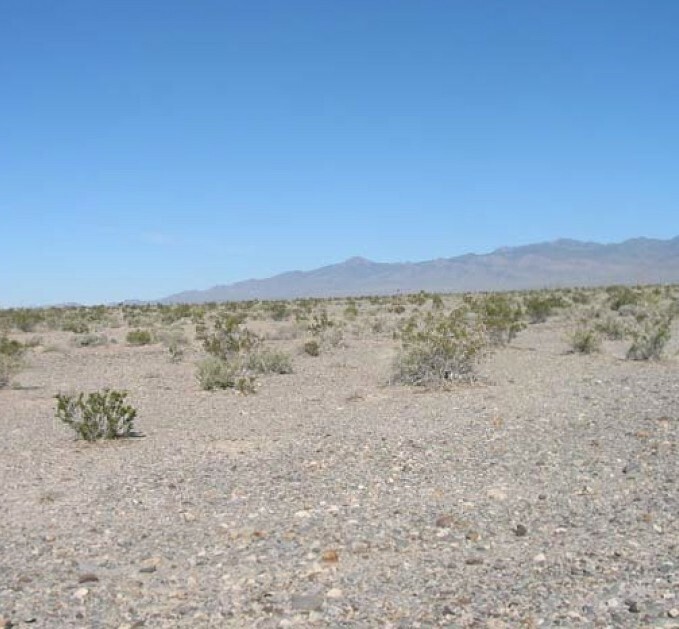 The property consists of a single, vacant parcel of land totaling 2.7 acres. The site was used as military housing for the U.S. Air Force during an unknown time period. 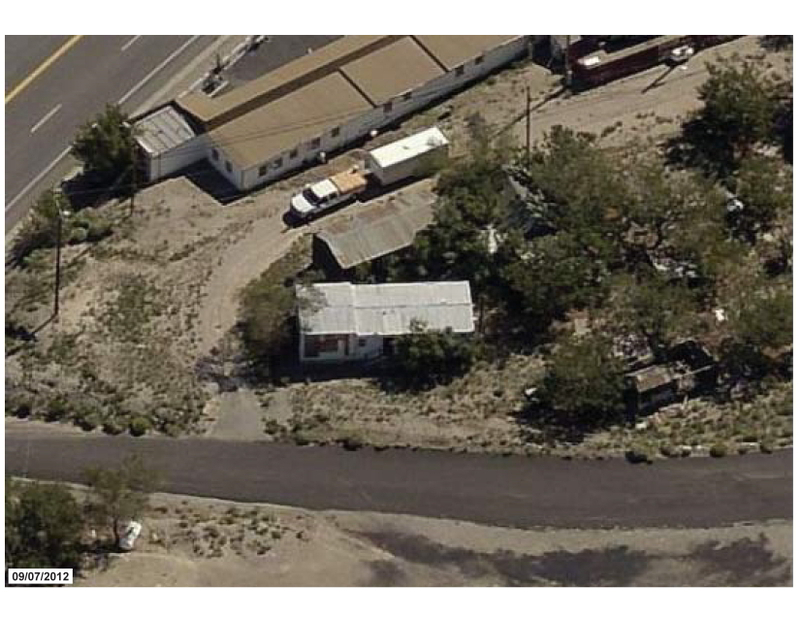 The property was seized by the Nye County Treasurer’s Trust in 2006 for non-payment of taxes. A Phase I Environmental Site Assessment (ESA) was completed in November 2009, which concluded the site does not require cleanup. The site is currently vacant with a gravel driveway running through the property. 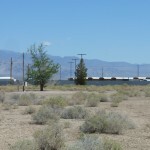 Four mobile home trailers and a storage barn are on the site. The property is surrounded by undeveloped land, municipally developed land, and former military housing. 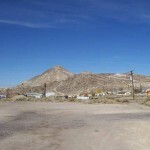 The site is located near the Town of Tonopah’s central commercial area. 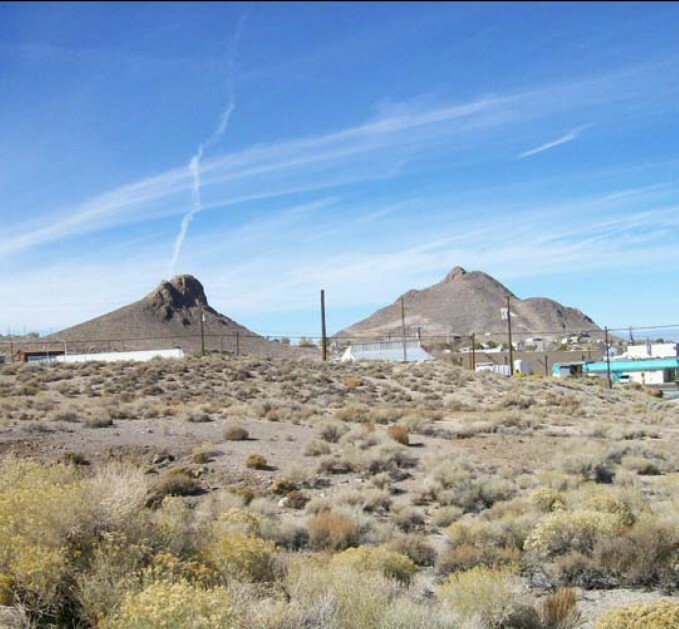 Nye County and the Town of Tonopah are exploring options for developing this property as support facilities for the nearby Nye County Regional Medical Center, Senior Center, and proposed assisted living facility. The subject site consists of a former residential property with an abandoned mobile home trailer, abandoned boat, and small structure. Based on a review of historical sources the site was developed as a single-facility residential property after 1984 and prior to 1994. The property is currently owned by the Nye County School District. A Phase I ESA was completed in February 2009, and concluded the site does not require environmental cleanup. Directly to the east is the Nye County School District Transportation Services facilities, which covers an 8.22 acre site. All other adjacent properties are currently vacant and undeveloped. 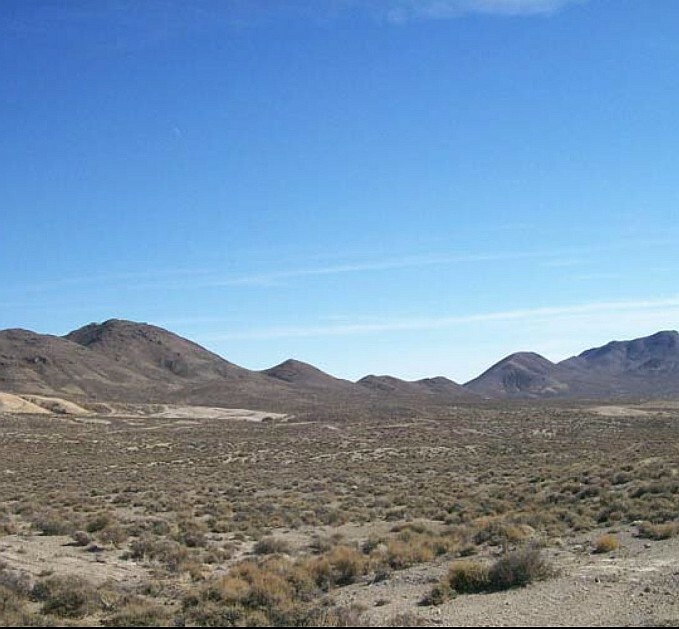 The property is proposed for future expansion of Nye County School District facilities in Pahrump, NV. Two parcels make up this site. The property was developed as an airport prior to 1949, with a portion of the site developed as a mining camp prior to 1954. The mining camp was subsequently abandoned. A Phase I ESA was completed in June 2009, which found an unregulated underground storage tank as well as possible contamination from asbestos. Further environmental assessment was recommended. 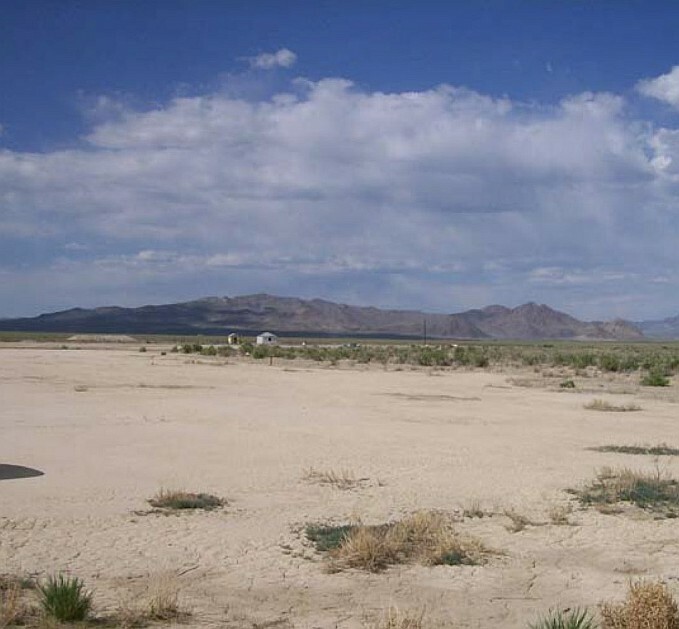 In 2012, Nye County Public Works removed the identified underground storage tanks. Resulting soil tests revealed no petroleum contamination from the tanks. 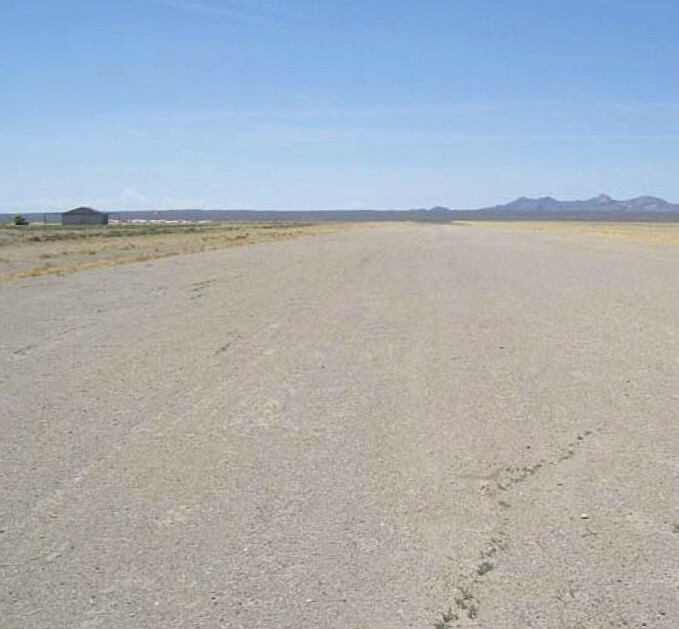 The property is a general aviation airport and hosts Great Basin Soaring, a small office building, and a private aircraft hangar. The County is exploring opportunities to expand aviation and associated commercial services at the airport. The property was purchased in the late 1980s as a result of the previous owner defaulting on the loan. 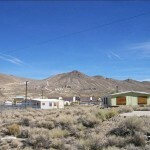 A manufactured home was moved to the site between 1954 and 1965. A Phase I ESA was completed June 2007, which found that fill placed on the site may have been composed of mine tailings as well as possible contamination from asbestos. The Phase I ESA recommended further environmental assessment prior to any demolition or remodeling activities. The two unoccupied buildings consist of a manufactured home and a three-room historic “crib” house. 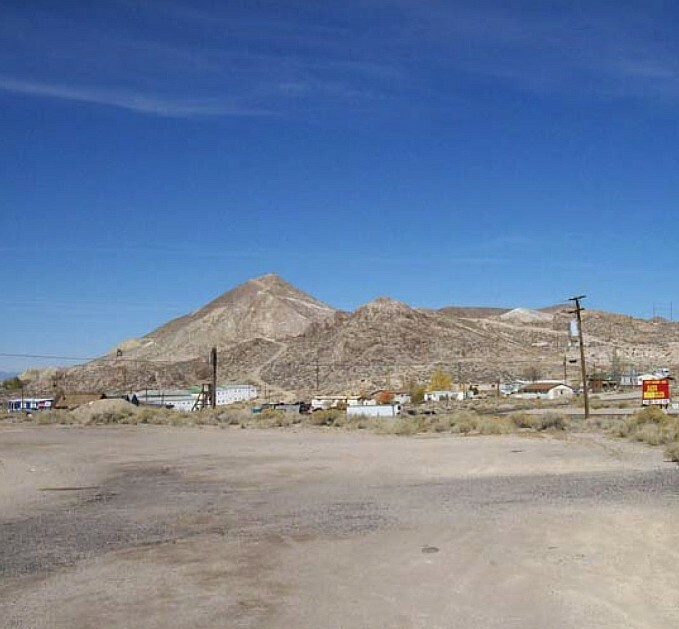 The Town of Tonopah and the current private owner are exploring a possible land exchange to facilitate downtown redevelopment. Historical records indicate the property has always been vacant, undeveloped land. An automotive sales and repair facility, as well as a quarry pit, were located nearby. A Phase I ESA was completed December 2007 based on contamination concerns associated with the nearby automotive facility. The Phase I ESA concluded the site did not require environmental cleanup. There is an active gravel pit to the northeast and an RV park to the southwest of the property. There is no surface water at the site, but there are three ephemeral washes that cut through the property from northeast to southwest. 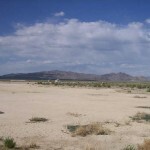 The vacant, undeveloped property is ready for reuse, and no cleanup is required. The owners are planning to construct a light industrial park and have offered to donate a portion of the property to the community for use as a business incubator. The site was historically developed as military housing. By 1994, the housing had been demolished and the property has remained vacant and undeveloped since. A Phase I ESA was completed in November 2009, which concluded the site did not require environmental cleanup. The site is currently vacant with a gravel driveway running through the property. Concrete foundations are on the site. The property is surrounded by undeveloped properties, commercially developed properties, and former military housing. The site is located near the Town’s central commercial area. 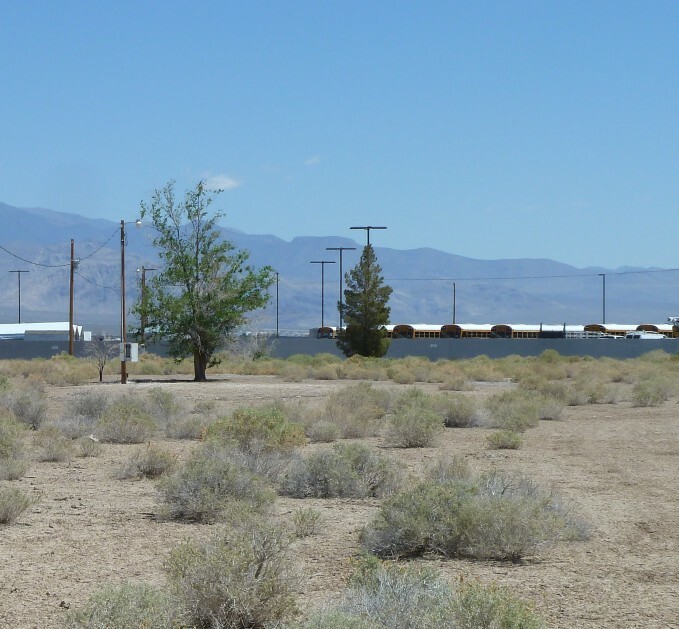 Nye County and the Town of Tonopah are exploring options for developing this property as support facilities for the nearby Nye County Regional Medical Center, Senior Center, and proposed assisted living facility. Based on a review of historical sources, the subject site was developed as an airport in the mid-1940s. The site was listed as a closed solid waste landfill facility under the name Gabbs Airport Dump. A Phase I ESA, completed June 2009, recommended further environmental assessment. The Gabbs Airport is a public-use airport. The site includes an earthen runway, airplane hangar, beacon light, and electrical building. 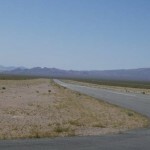 A portion of the site is also used for storage of salt/sand mixture and roadway sand by the Nevada Department of Transportation. The property is listed as having no cleanup activities completed. 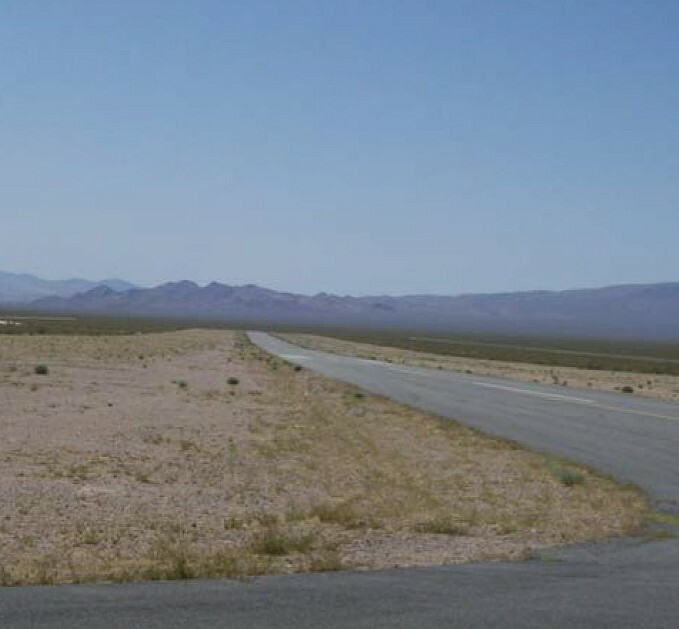 Periodically, Nye County Public Works completes weed removal at the airport and regrades the runway. These activities will be completed again in 2014. Nye County Public Works is planning on removing the World War II era beacon tower and beacon due to safety concerns. The site has been submitted to the Nevada Institute for Autonomous Systems Unmanned Aircraft Systems Program Management Office for use in future unmanned aerial vehicle testing and operations. 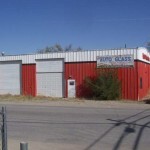 The property was developed as a commercial auto repair garage, a single-family residential building, and four mobile office trailers. 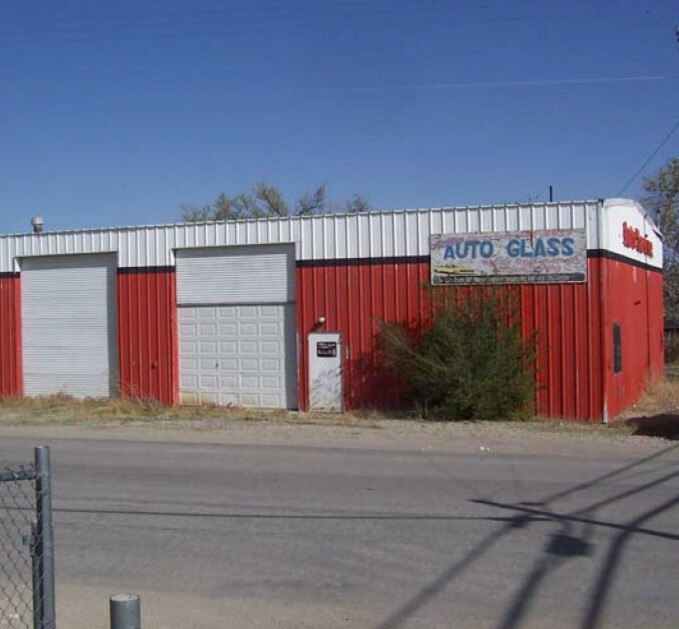 The single-family residential building dates to 1918, while the auto repair garage was constructed in 1983. Past ownership information was not available. A Phase I ESA was completed in October 2007. No contaminants were found. The auto repair garage and single-family residential buildings are still present on the property. All structures are currently unoccupied. No cleanup is required and the property is ready for reuse. The property is primarily undeveloped land with a concrete building foundation located near the southwestern portion of the site. The construction date, demolition date, and former use is unknown. The Phase I ESA was completed December 2009. There was evidence that a septic system and heating oil tank may have been present on the site, but there were no recognized environmental conditions. 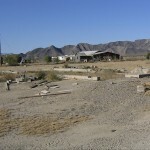 The site currently contains a building on the west edge of the property previously utilized by the Nye County Ambulance Service, a paved driveway for the building, and a paved driveway/entrance street for the Tonopah Senior Center. 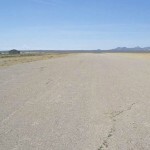 The property is surrounded by undeveloped land, municipally developed land, and a medical facility. The site is located near the Town’s central commercial area and is mostly undeveloped. The former ambulance building was remodeled and converted to office space for the Change the World with Love Foundation when the site was leased to the organization in 2011. 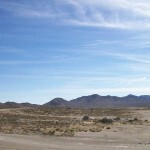 Change the World with Love, Nye County, and the Town of Tonopah are exploring options for developing this property as an assisted living facility to support the adjacent Nye County Regional Medical Center. An abandoned mobile home trailer is located on the site and has been present since sometime after 1994. Prior to 1994, the site was vacant and undeveloped. 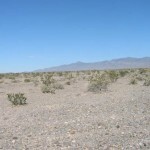 The property is currently owned by the Nye County Sheriff. Information provided indicates that previous tenants used the property for the manufacture of methamphetamine. A Phase I ESA was completed May 2008 and found possible contamination of soil and groundwater from chemicals used to manufacture methamphetamine. Further environmental assessment was recommended and a Phase II ESA was completed January 2009. No cleanup activities were necessary based on the results of laboratory analysis of environmental samples collected at the site. 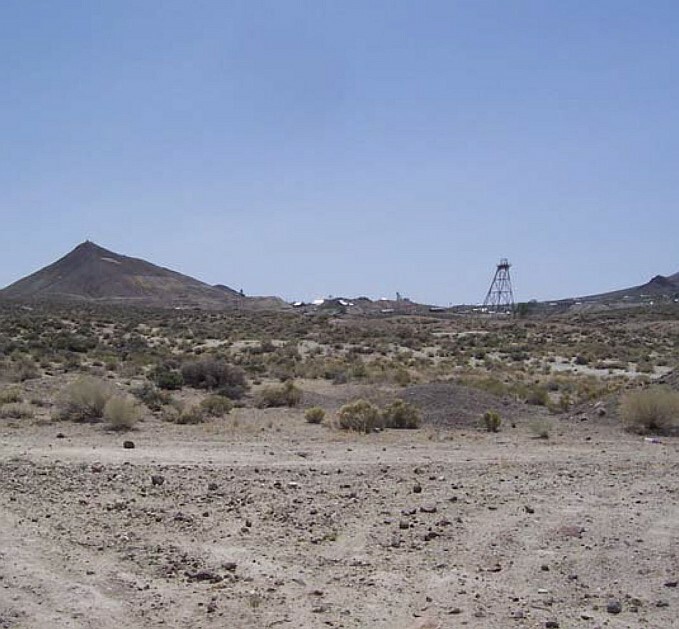 The conditions and events surrounding assessment of this site prompted Nye County to work proactively with the Nevada Division of Environmental Protection and the State Legislature to develop a framework for future regulatory oversight and cleanup guidelines for methamphetamine laboratories. The site is currently vacant residential land and is ready for reuse. The Sheriff’s Office intends to sell the property for future redevelopment. 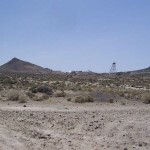 Although historical records review indicated the property has never been developed, evidence of ‘desert dumping’ and prospecting activity was observed at the site. Numerous dirt roads cross the site, but no structures are present. 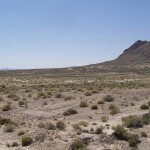 The property has been owned by the Town of Tonopah since 2004, when it was quitclaimed to the Town by Nye County. The Phase I ESA was completed in December 2009. No contaminants were identified during the Phase I ESA. The Ray Tenant Lane East property consists of a single 35.71 acre parcel of undeveloped land that is currently vacant. No cleanup was required, and the property is ready for reuse. 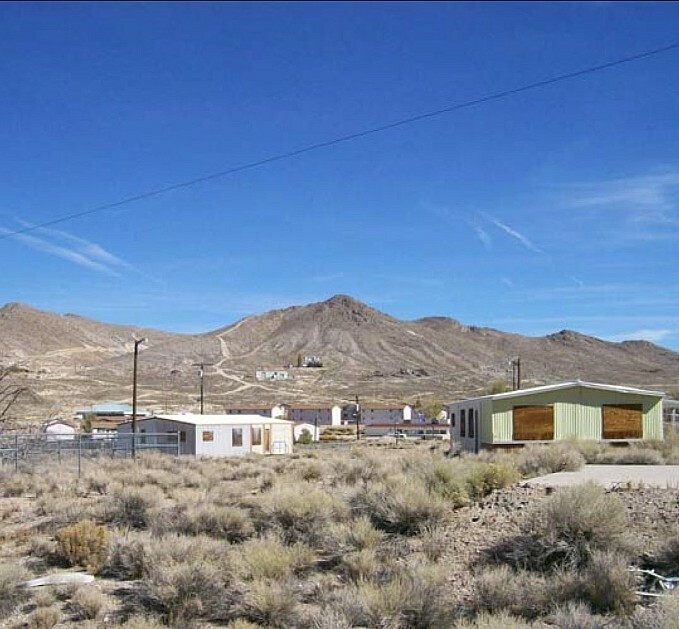 The Town of Tonopah is working with the Nevada Rural Housing Authority to develop the site for use as workforce housing to help alleviate a local workforce housing shortage. Review of historical sources indicated the site has been historically undeveloped, save for graded areas in the eastern and northwestern portions of the property. A Phase I ESA was completed in December 2009. The assessment concluded the site may have asbestos containing building materials present. Further assessment of those materials was recommended. 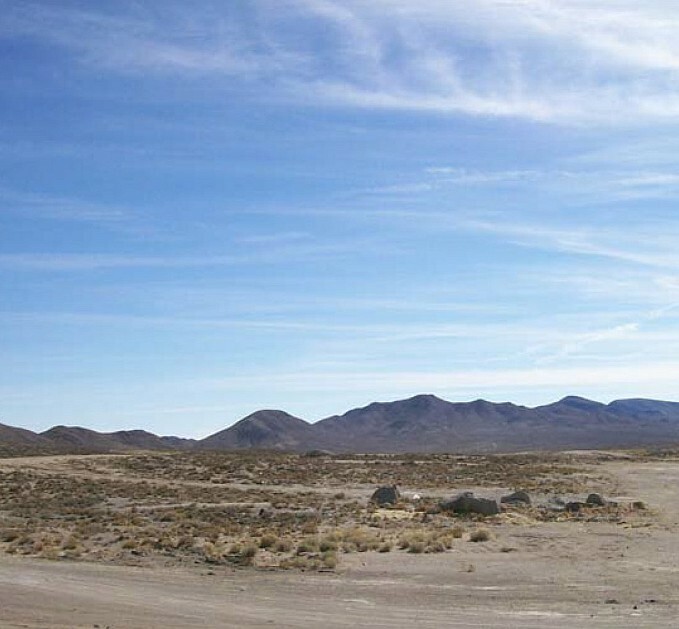 The property consists of a single, undeveloped parcel of land totaling 13.63 acres in Tonopah, Nevada. The site is mostly vacant with ‘desert dumping’ debris located across the property. There are numerous dirt roads that cross the site, but no structures. 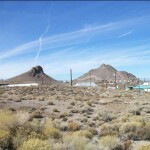 The former Tonopah municipal landfill and former Tonopah Shooting Range are located to the south of the site. It was recommended that possible asbestos containing building materials on site be assessed. 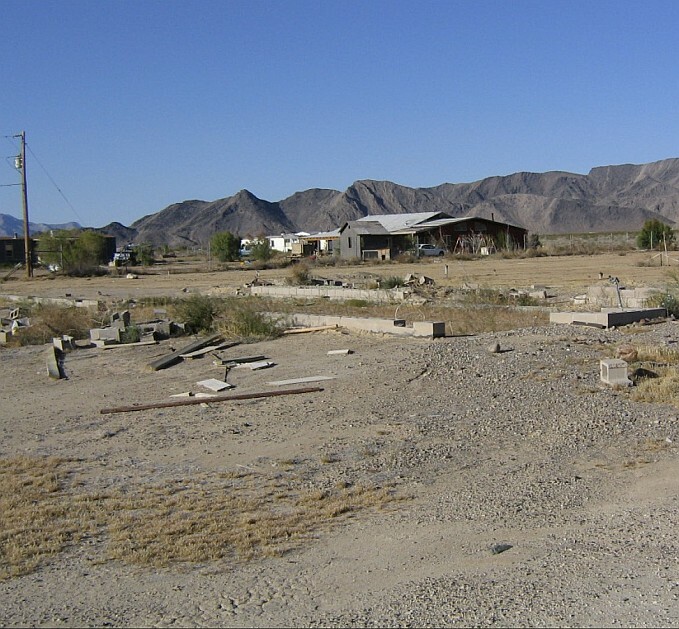 The Town of Tonopah is working with the Nevada Rural Housing Authority to develop the site for use as workforce housing to help alleviate a local workforce housing shortage. The site consists of a former public golf course, a former rodeo area, and a shooting range with a restroom building and storage building. Review of historical information indicates the site was undeveloped prior to development as a golf course in the 1960s. The site ceased operation as a golf course in 2001. A Phase I ESA completed in June 2009 found evidence of punctured and leaking drums of unknown content as well as potential lead contamination. Approximately 17 55-gallon drums were observed on the site containing numerous holes associated with shooting activities. The drums were removed by the Nye County Public Works Department in 2014 and transferred to an appropriate waste facility. The site is currently in use as a shooting range and model airplane flying area. A restroom building, storage building, and trap house are present. Additional site development includes two unpaved roads, a playground, fencing, and earthen berms associated with the shooting range. Further assessment was recommended prior to redevelopment due to the presence of stained soil in the vicinity of the leaking drums. Sampling for lead contamination in the soil near the shooting range was also recommended. 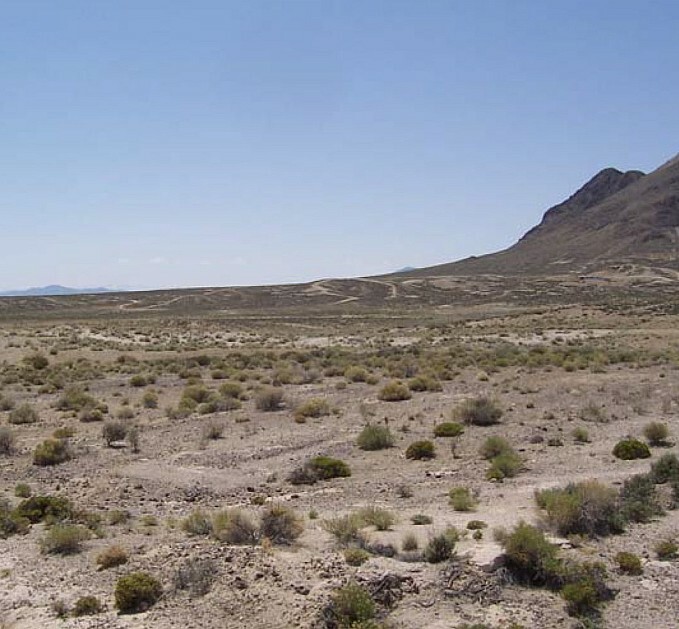 This property was the municipal landfill for the Town of Tonopah under a Recreation and Public Purpose (R&PP) lease from the Bureau of Land Management (BLM) from 1976 to 1986. 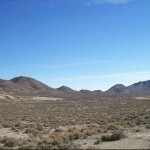 The property reverted to BLM control upon expiration of the R&PP lease. A Phase I ESA completed in June 2007 recommended further environmental assessment due to the property’s historic use as a landfill. The site is currently not in use, and a soil cap has been placed over the former landfill. However, solid waste and debris is evident across the property, including three 55-gallon drums of unknown origin or content. There are numerous unpaved roads crossing the site but no structures. Debris on-site requires characterization and removal prior to redevelopment. Options for the best redevelopment plans for the site are under consideration. Review of historical sources indicates this property has not been previously developed. Waste consisting of concrete pieces, non-native soil, metal debris, and glass bottles suggested the site had been used for ‘desert dumping’. The Phase I ESA was completed in June 2007. No contaminants were suspected. The property is undeveloped land. The property has evidence of scattered debris but remains undeveloped. Properties adjacent to the site are also undeveloped. No cleanup was required, and the property is ready for reuse. The site is proposed for a possible land exchange for downtown redevelopment.